Laura Spinney is an author and science journalist. 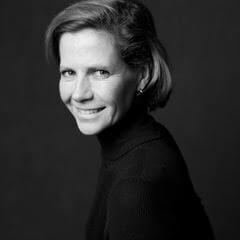 She has published two novels in English, The Doctor and The Quick. 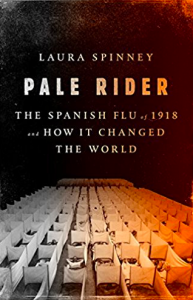 Her third book of non-fiction, Rue Centrale, came out in 2013 from Editions L’Age d’Homme (in French and in English), and her fourth, a tale of the Spanish flu called Pale Rider, came out in 2017. She also writes on science for National Geographic, The Economist, Nature, New Scientist and The Telegraph among others. On October 16, she will be speaking at House of SpeakEasy’s Seriously Entertaining show, Forget Me Not, alongside Gregory Pardlo, Itamar Moses, and Joel Rose. We spoke to Laura ahead of the show. Don’t be precious about words. Throw away many more than you keep. Charles-Ferdinand Ramuz, who wrote soaring Greek-style myths set against the soaring Swiss Alps, and is almost completely unknown to the English-speaking world. The Vanished Library by Luciano Canfora, about the destruction of the Great Library of Alexandria. What fascinates me about this subject is how difficult it was to preserve books in the ancient world in general. They were always going up in flames or meeting other sticky ends. Since the greatest concentrations of books were usually found in the greatest centres of power, what has been preserved has usually come from peripheral locations – less important places. In other words, our understanding of the ancient world may be totally biased and unrepresentative.